Schofield & Sims English Skills provides regular graded practice to develop pupils' literacy skills at Key Stage 2. Fully in line with the requirements of the National Curriculum for English, the series comprises seven pupil books with accompanying answer books, as well as a single teacher's guide. Key areas are constantly revisited, giving pupils the intensive and rigorous practice that is essential to embed learning and prepare for the Key Stage 2 national tests. The English Skills pupil books each contain 36 one-page tests featuring 'Warm-up' exercises, 'Word work' questions covering spelling, word structure and vocabulary and 'Sentence work' questions covering grammar, punctuation and sentence formation. At the end of each section a 'Writing task' encourages children to apply what they have learnt in their own writing, while a 'Proofreading task' further reinforces learning. Additional features include a glossary to support the confident use of literacy terms and a progress chart to allow pupils to monitor their own skills. 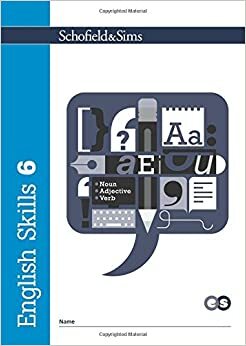 English Skills 6 acts as a bridge from Key Stage 2 to Key Stage 3 and is suitable for pupils in Years 6 and 7.Topics covered include: text cohesion; non-finite verbs; the subjunctive; punctuation to avoid ambiguity; spelling rules and exceptions; and vocabulary and grammar for effect. The accompanying answer book, English Skills 6 Answers (ISBN 9780721714158), contains answers to all the questions in English Skills 6 and the single Teacher's Guide (ISBN 9780721714165) contains further guidance and resources to help children practise and develop literacy skills. A selection of free supporting downloads is also available from the Schofield & Sims website. huge part of people will omit your excellent writing due to this problem.